Whether you ride on or off-road, keeping important items like mobile phones and wallets close to hand, and protected from water, can be tricky. Now, thanks to the Bags Connection Nemo Hip Pack, carrying everyday essentials is easy. 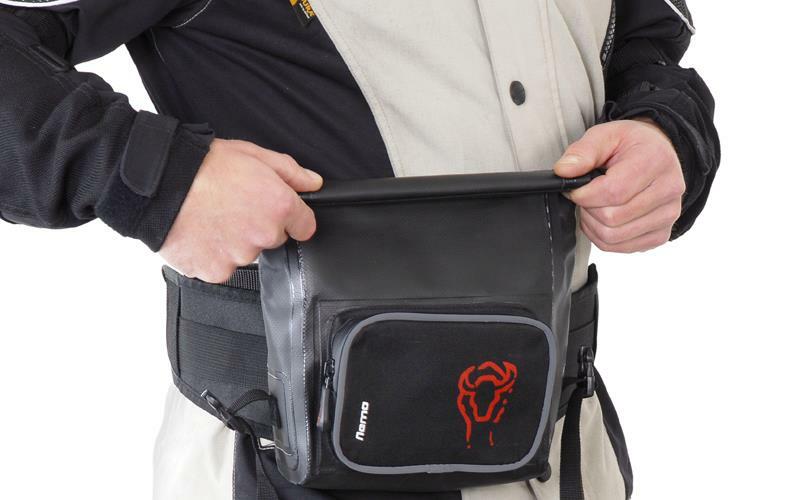 Constructed from a tough, durable and 100% waterproof heavy duty polymer with welded seams, the Nemo keeps contents safe and dry. A roll and clip closure system to the main storage compartment gives quick and easy access, and prevents any items falling out of the pack. An additional zipped pocket on the front offers extra room for smaller items and brings the Nemo's total storage capacity up to 2.5 litres. 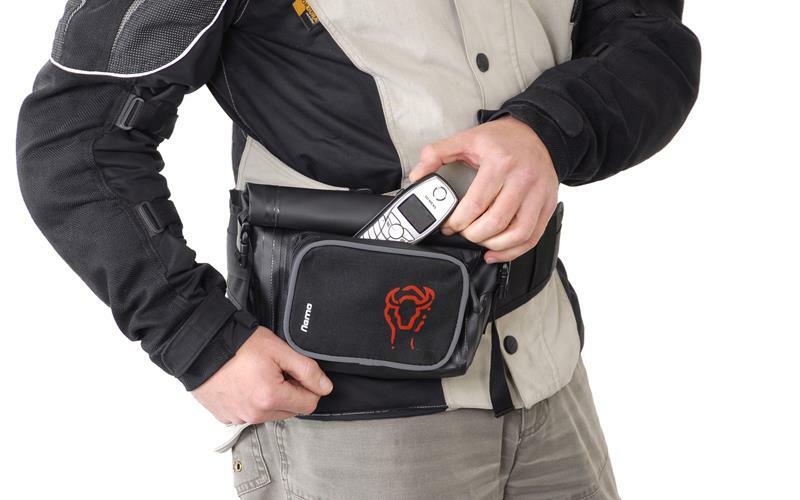 Secured by a fully adjustable waist strap, the Nemo can be worn easily over bulky riding equipment, or normal clothing. 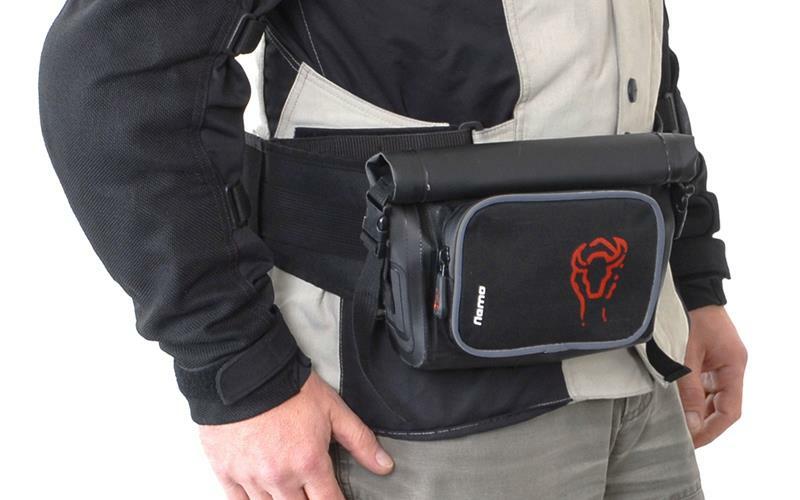 As the Nemo is carried around the waist, it does not restrict the wearer's movement as shoulder bags or rucksacks can. As an additional safety element, reflective detailing is incorporated in to the design to help keep the wearer visible in low light conditions.